Jay Baruchel voices Hiccup in “How to Train Your Dragon: The Hidden World” (2019), directed by Dean DeBlois. When “How to Train Your Dragon” first premiered in 2009, a teenage Hiccup and a wounded dragon, named Toothless came together in an unlikely friendship. Almost a decade and two movies later, a new player comes into the picture — a romantic interest for Toothless. 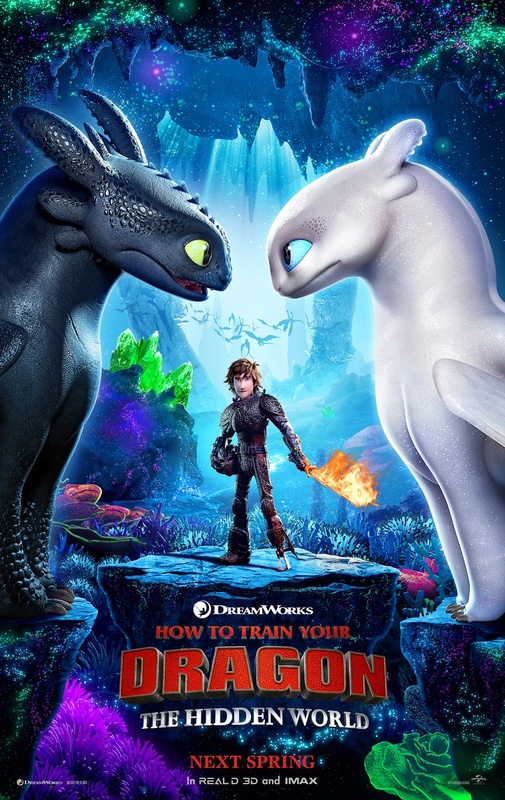 “How to Train Your Dragon: The Hidden World” follows this new love in an endearing story with outstanding graphics and music, neatly tying together the plot of the beloved trilogy. Aside from somewhat predictable character development, the story remains as heartwarming as ever. It’s a joy to follow Hiccup and Toothless on their thrilling rides through worlds that the animators have rendered with stunning visual detail. Under the direction of Dean DeBlois, who also directed the previous two films, Hiccup seems to struggle to grow into his role as a leader, especially while a distracted Toothless pursues his new love interest. The pressure from others for him to marry Astrid (America Ferrera) only adds to his uncertainty. Grimmel says of Berk’s people, “They don’t have a leader; they just have a boy.” Though Hiccup goes through somewhat of a hackneyed, well-tread character arc of trying to “find himself,” DeBlois’ supporting characters, though sometimes annoying — Ruffnut (Kristen Wiig) and her non-stop monologue and commentary on everything, Snotlout (Jonah Hill) with his oblivious self-presumption — are also undeniably funny. The characters aren’t perfect, but they don’t need to be. They flit in and out of scenes and carry the story, and are all lovable in their own ways. The highlights of the film are the stunning graphics, animation, and music. The courting scenes between Toothless and Light Fury are absolutely gorgeous. As they fly across skies of brilliant colors with their sleek bodies intertwining, their chemistry practically radiates from the screen. Their flight through the skies, which leads them to nothing other than the Hidden World itself, an interstellar-looking landscape of dragon utopia, is a beautiful journey. John Powell’s dramatic music also elevates the power of the scenes as the score soars with the dragons. Beneath the visual acrobatics the film manages to pull off, the messages it leaves behind are darker than what the family-friendly fighting scenes may suggest, and something that older audiences can grapple with. Would it be impossible for humans to live with the sacred dragon species? Can humans be trusted with powerful weapons or would they just become irresponsibly, chaotically violent? Or — a much more practical question — is it impossible for completely different cultures to live together peacefully? Though the animated film is full of delightful scenes for the young, the story and the technical effects transcend the expectations of a children’s film and make “The Hidden World” an enjoyable watch for all. —Staff writer Lucy Wang can be reached at lucy.wang@thecrimson.com. Follow her on Twitter @lucyywang22.